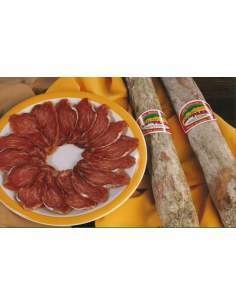 Buy Iberian loin of acorn and sausage with an unbeatable price quality. Iberian sausages There are 15 products. Jamogar Iberian pork loin 75% Iberian race 1,2-1,5 Kg. 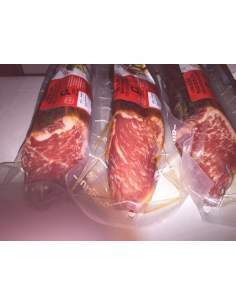 Iberian cured loin of pork Monteparra Guijuelo 0.75 Kg. Iberian acorn cured loin of pork Jamogar 0,750 Kg. 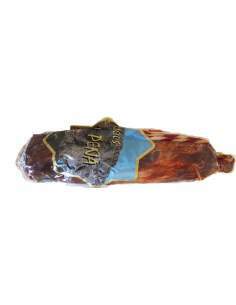 Iberian cured culin of pork Monteparra Guijuelo 1,2 -1,4 Kg. 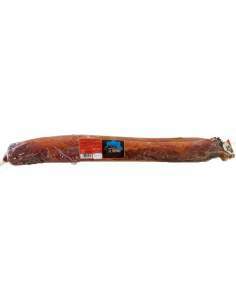 Iberian cured loin of pork Monteparra Guijuelo 1,2 - 1,5 Kg. 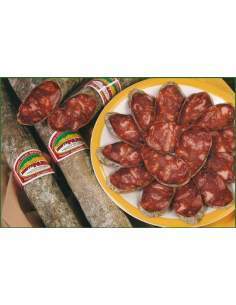 Iberian cured salami of pork Monteparra Guijuelo 1,2 -1,4 Kg. 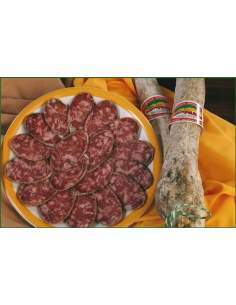 Sierra de las Bellotas Iberian chorizo 200 g.
Sausage Iberian Sierra de las Bellotas 200 g.